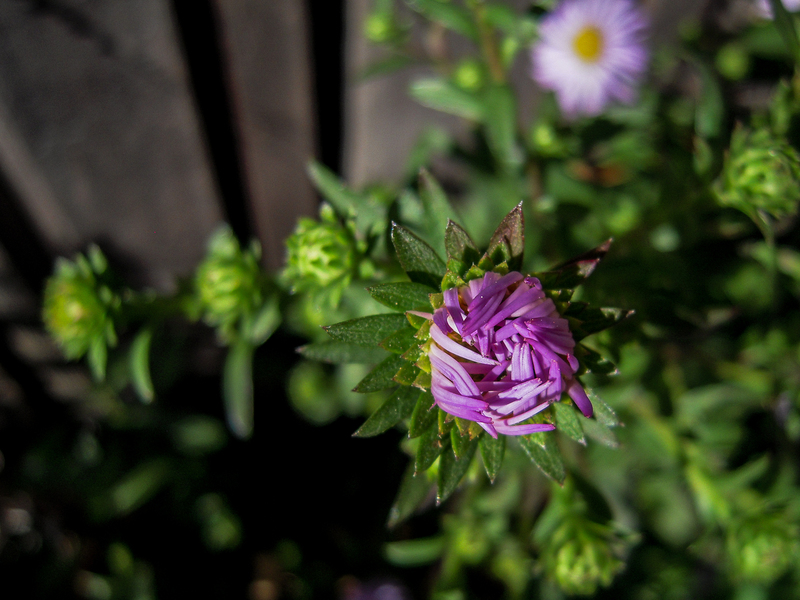 Late September is a good time to admire the Michaelmas Daisies. 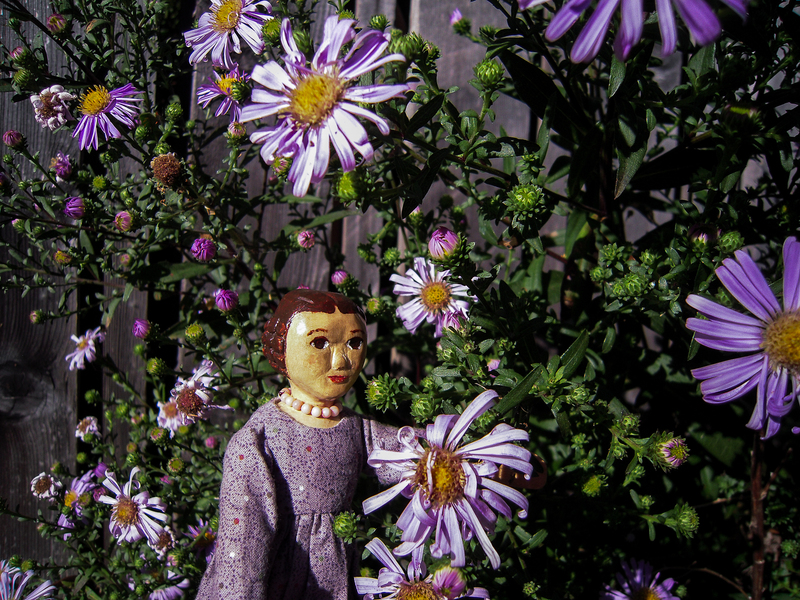 Constance finds some in bloom in an alleyway on the way home… (the Quimper Hitty’s favourite photographer is experimenting with photo-processing, so some recent pictures may look strangely intense). The swirly purple bud is probably following the Fibonacci sequence. The bees are busy bulking up with Nectar for the winter. 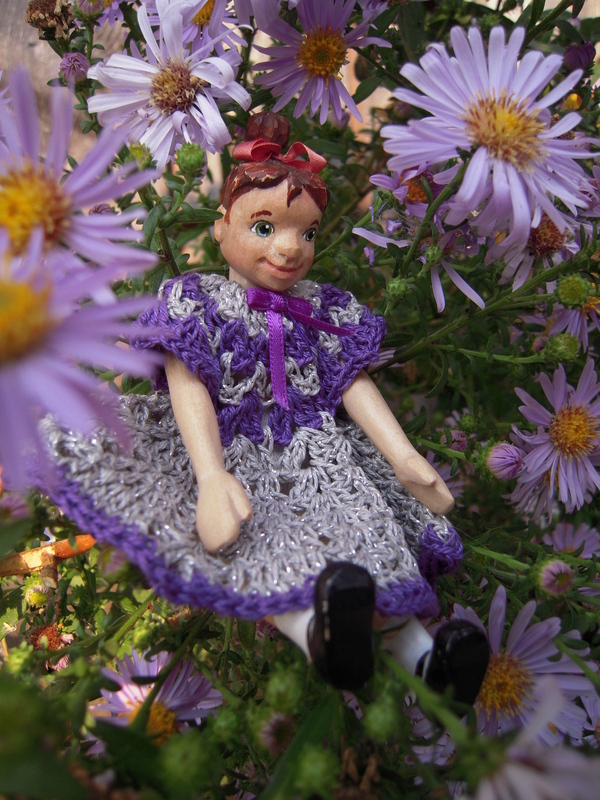 Min likes the daisies too, but calls them Purple Asters. Beautiful flowers, no wonder Min and Constance are admiring them so much. Fibonacci indeed! 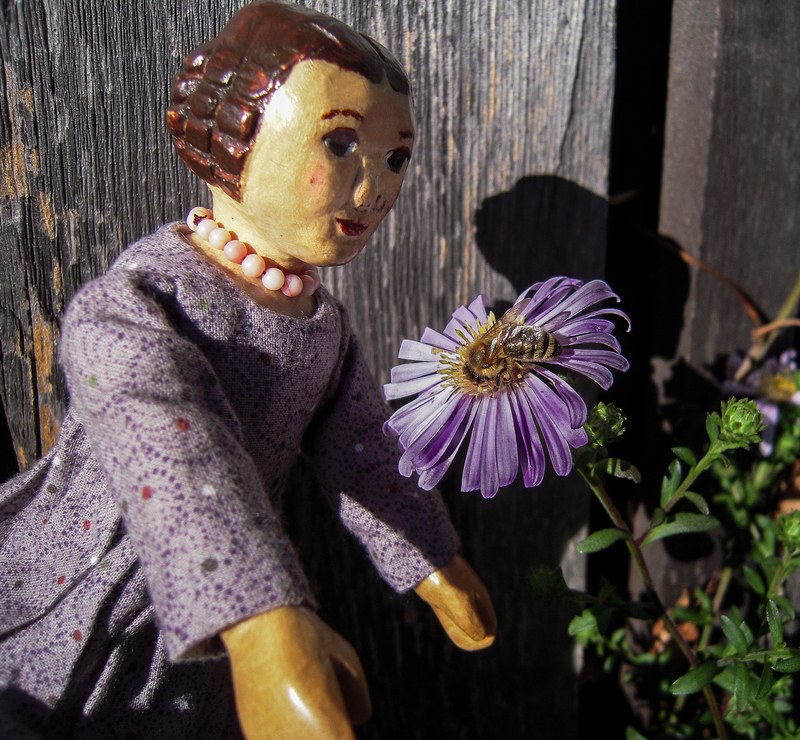 Must be a very advanced daisy… The Bonsai Hittys love all your flower photos! Quimper Hittys love the intersections of math and nature – result: depth and beauty in amazing places! Fractals and Fibonacci are two of my favorite things in the world of math and magic! It almost makes math seem to have it’s own spirit in some ways. Great shots here, and I just looooved the story! The Quimper Hittys are noticing the longer cooler nights already, and are glad to be noticing things like Michealmas daisies and Fibonacci!